St. Paul's United Methodist Church will hold its monthly all-you-can-eat pancake breakfast from 8:00 - 10:30 AM. Proceeds will be given to the church van fund. Cost: $5 adults, $2 children under 12, $15 family maximum. Location: Heavener Hall, corner of Fawcett & Mitchell Streets, Old Town Kensington. For information call 301-933-7933. Kensington Baptist Church invites the community to a Spring Fling and Flea Market. Activities include a bake sale & refreshments, petting zoo, moonbounce, face painting, fire rescue K-9 unit, police & fire dept displays, ESL info, Parent Encouragement Program info, blood pressure check. Free. Flea Market rain date: May 10. Location: 10100 Connecticut Ave. Information: 301-942-4400. Welcome to this custom built five bedroom Colonial located on a private dead end street in Martins Addition to Chevy Chase View. Designed by Chase Architects, enjoy its many features including over 5,000 square feet of living space! The first level offers wonderful flow between all the rooms. Enjoy the grand entryway with cathedral ceilings opening to both a formal living room with fireplace and a large dining room with bay window -- all with beautiful moldings. The kitchen and breakfast room open to both a large family room with fireplace as well as a newly added screened porch/deck on the back of the house. The two car garage, den/office and powder room also located on the main level are great features. The five bedrooms and three full baths all on the second level are generous in size with ample closet space. The master bedroom suite has a large palladium window, cathedral ceiling, his and her closets, as well as a great master bath. The lower level provides a spacious daylight recreation room, as well as a half bath (roughed-in for full bath if needed) and a huge storage room. Located in this desirable location, you are near the area’s schools, parks, public transportation, the local swim club and much more! Please let this brochure be the guide to the many other amenities this home has to offer. 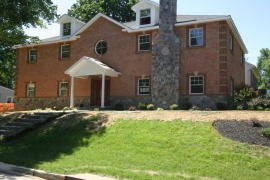 3414 Wake Drive, Kensington $619,000 - NEW PRICE! 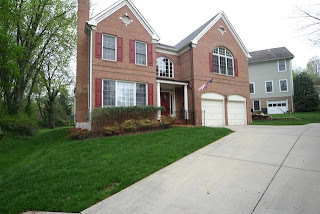 9608 Carriage Road, Kensington $ 850,000 - NEW PRICE! Come celebrate the International Day of the Book! Fun for the whole family! Connecticut Avenue, one mile outside the Beltway. Doris Justice & Mark Ashbury. Meet Sherlock Holmes and Dr Watson! Book making and writing activities for children and adults! ...and much more! All activities are free! up! See the website for more information on how you can participate! Welcome to this charming and very well maintained four bedroom, two and a half bath home located in Carroll Knolls. This four level split has a very private feel due to its location at the far end of the street. Among its many other features, please take note of the updated double pane windows, the light filled table space kitchen with skylight, and the private Trex deck off the back of the house. Enjoy both the daylight lower level recreation room as well as the large family room/play room. 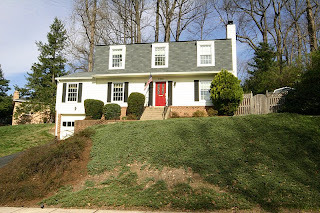 Centrally located, you are conveniently located near the area’s schools, downtown Silver Spring and Kensington, as well as being close to both the Forest Glen and Wheaton Metro and two parks! Welcome to this wonderfully maintained three bedroom, two bath home located in Capitol View Park. Enjoy the cathedral ceiling in the large living room with fireplace and adjacent dining room. Spiral stairs lead to the upper level bedroom/loft area. The location is ideal as you are just minutes to downtown Washington and Bethesda, as well as being close to Rock Creek Park, the MARC train, shopping and more! THERE'S A NEW NURSERY SCHOOL IN TOWN! Temple Emanuel Early Childhood Education Center looks forward to welcoming students ages 20 months - 5 years in September 2008. The preschool's Reggio- inspired curriculum will foster curiosity and love of learning in a rich environment based on best practices in Jewish early childhood education. The program offers a full-time year-round program as well as part-time options, a summer program and parent-toddler classes. Applications are now being accepted for fall of 2008. For more information please contact Madeline Lowitz Gold, Director of Early Childhood Education at Madeline@TempleEmanuelmd.org or 301-942-2000. Welcome to this charming and well maintained four bedroom, three bath Cape Cod located in McKenney Hills. Among its many features, please note the beautiful hardwood flooring, updated double pane windows throughout, as well as a private Brazilian Ipe hardwood deck overlooking the professionally landscaped yard and gardens. New pleated shade blinds on all windows and many other updated fixtures throughout. Other features include a remote controlled gas fireplace in the living room, a spacious finished lower level including a cozy recreation room with new carpeting and recessed lights, a separate office/exercise room and a large storage room. 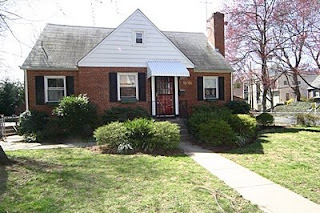 Centrally located, you are situated in an excellent location walking distance from Forest Glen Metro, and easy access to the Beltway, McKenney Hills Park and Oakland Terrace Elementary School. Minutes from the theaters, restaurants and great shopping in the "new" downtown Silver Spring. 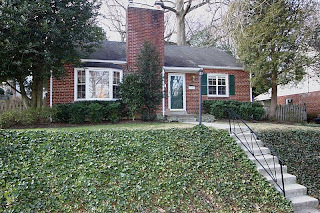 Welcome to this charming four bedroom, two and a half bath Colonial located in Rock Creek Hills. Among its many features, this home offers great space throughout the main level including formal living and dining rooms, a family room with fireplace off the kitchen, as well as a main level office. The table space kitchen has been completed renovated in 2008 to include beautiful granite countertops, all new stainless appliances (with extended warranties) and newly installed cabinetry. Anderson sliding glass doors in both the kitchen and dining room provide lots of light and open to the private back yard, flagstone patio and Trex deck. Please also note the newly installed roof in 2008. Centrally located, you are close to Beach Drive and Rock Creek Park, downtown Kensington, Bethesda, the Capital Crescent Trail and much more!